Atlantic Urology Medical Group (Long Beach) - Book Appointment Online! 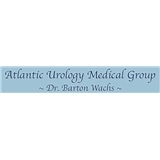 Board-certified urologist, Dr. Barton Wachs, established the Atlantic Urology Medical Group in 1982 to provide compassionate urological care and vasectomy services to patients in Los Angeles and Orange County. Dr. Wachs offers years of experience and advanced training in urology, including minimally invasive urological surgery. Dr. Wachs has performed 7000 no scapel vasectomies. The office offers clinical drug trial, no-scalpel vasectomy, vasectomy reversal, ultrasound testing, urodynamics for incontinence, laser treatment of genital warts, and surgeries for prostate cancer. Excellent car. Wait was due to an emergency surgery. Not a problem. Very reassuring and completely thorough. A very qualified and skilled physician with a most comfortable personality.